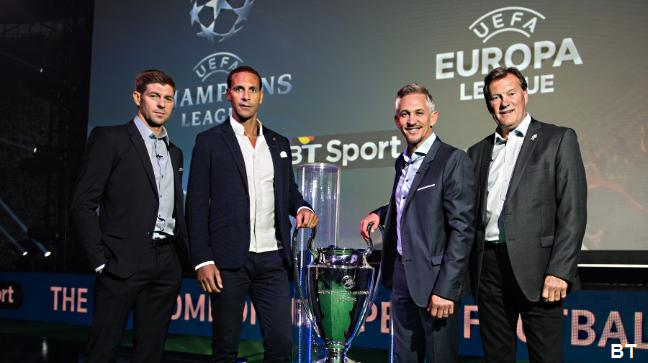 Plusnet is offering its YouView TV customers 'free' access to BT Sport 1 from Wednesday, with viewers able to add the remaining BT Sport channels, either in standard or high definition for an extra monthly fee. Until now, Plusnet, a wholly owned subsidary of BT, has only offered BT Sport via Sky to its customers. 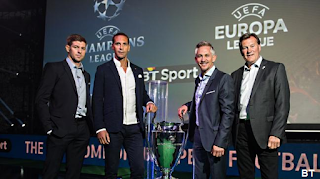 BT Sport 1, which includes coverage of the Premier League, will be automatically available to Plusnet customers who take out the company's YouView TV package, which in turn is only available with Plusnet's fibre broadband products. BT Sport 2, Europe, ESPN and Extra, with coverage of European football and much more is available for an addition £5 a month in standard definition. HD versions of the channels will cost a further £3 a month as part of the HD pack. BT Sport Extra will not be available in HD via Plusnet. Customers can request the new BT Sport packages from tomorrow, Tuesday 4th August 2015. Plusnet has taken a beating in recent weeks, following the announcement of above inflation price rises for its line rental and inclusive call packages. Benefiting from the fact that marketing for fibre-based products always focuses on increased download speeds, Plusnet recently capped the rarely mentioned upload speeds to just 2Mbps on its £14.99 standard unlimited fibre broadband product for new and recontracting customers. Rival TalkTalk meanwhile has announced that it's offering Sky Sports via YouView for £11 a month for the next nine months. At the present time, it's not possible to watch the whole portfolio of BT and Sky Sports channels via a YouView-based provider.